Written with input from director Rian Johnson, this official adaptation of Star Wars: The Last Jedi expands on the film to include scenes from alternate versions of the script and other additional content. From the ashes of the Empire has arisen another threat to the galaxy’s freedom: the ruthless First Order. Fortunately, new heroes have emerged to take up arms—and perhaps lay down their lives—for the cause. Rey, the orphan strong in the Force; Finn, the ex-stormtrooper who stands against his former masters; and Poe Dameron, the fearless X-wing pilot, have been drawn together to fight side-by-side with General Leia Organa and the Resistance. But the First Order’s Supreme Leader Snoke and his merciless enforcer Kylo Ren are adversaries with superior numbers and devastating firepower at their command. Against this enemy, the champions of light may finally be facing their extinction. Their only hope rests with a lost legend: Jedi Master Luke Skywalker. Where the action of Star Wars: The Force Awakens ended, Star Wars: The Last Jedi begins, as the battle between light and dark climbs to astonishing new heights. 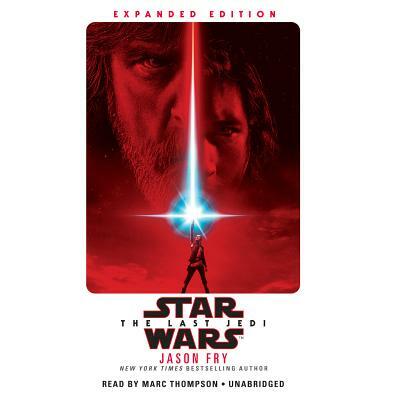 Jason Fry is the author of Star Wars: The Last Jedi and has written or co-written more than forty novels, short stories, and other works set in the galaxy far, far away. His previous books include the Servants of the Empire quartet and the young-adult space-fantasy series The Jupiter Pirates. He lives in Brooklyn with his wife and son and about a metric ton of Star Wars stuff.